Employees are the lifeblood of your business, and Goodwill is a partner you can count on to help meet your labor needs. We specialize in matching employers with motivated job seekers who have disabilities or other challenges. For many people, getting hired is a great first step, but life and job issues can surface after the job begins. Goodwill is there not only to bring our employer partners qualified candidates but to assist in resolving any issues that could jeopardize the success of the placement—for as long as a need exists. There are no costs associated with becoming an employer partner; our work is funded through a variety of sources, including Goodwill’s retail program, individual donors, foundations, and grants. Everyone wins when you hire our candidates to your team! Interested? Get started today by downloading our employer partner form or email employerpartner@goodwillky.org. Goodwill firmly believes that, as a community, we are more effective when we work together. We partner with many nonprofit agencies to carry out our mission, connecting people with resources and services outside our realm of expertise so all of their needs can be addressed and they can focus on finding success in the workplace. 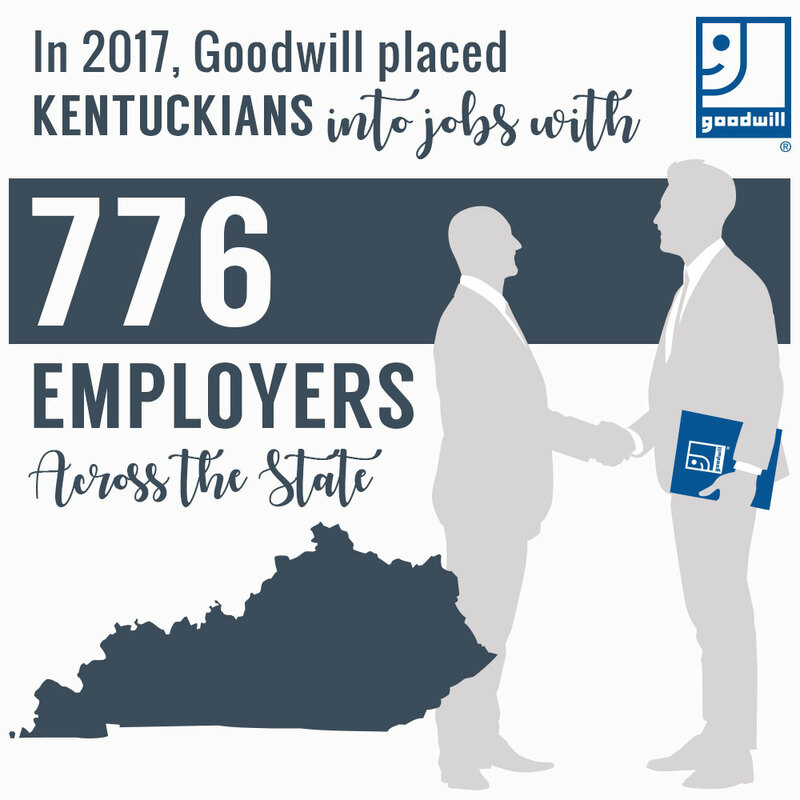 While Goodwill excels in helping Kentuckians identify their talents, develop their skills, and find a career path, our partners can provide services in housing and food insecurity, addiction recovery, childcare, and more. If your organization serves clients who need career opportunities, please reach out for more information! We’re likely serving people who could use your organization’s services as well. Call 1-844-GWK-WORK (1-844-495-9675) for more information.